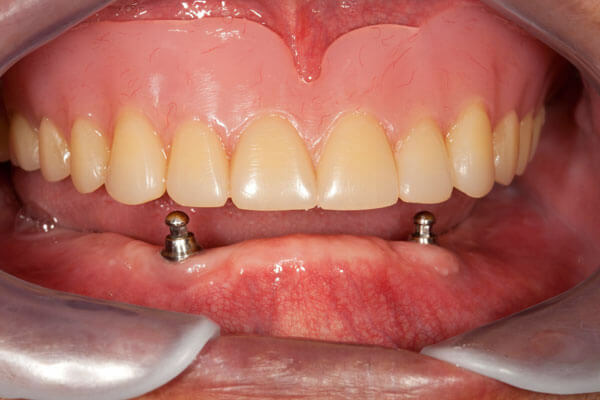 This implant denture procedure is a unique implant solution that allows patients who are missing all of their upper or lower teeth to replace a full arch of teeth using only 4 implants as “anchors”. 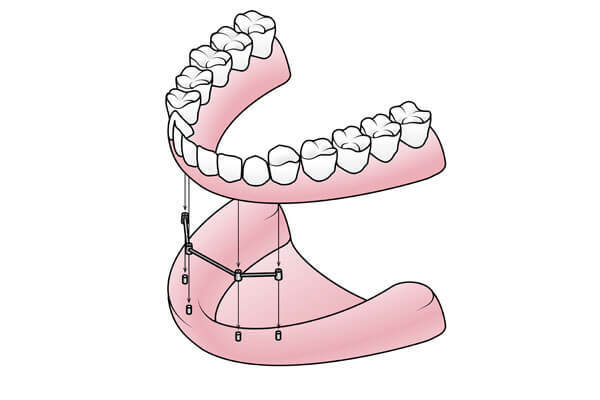 This implant denture technique offers many advantages over traditional dentures. Contact us today to learn more about an implant denture in Centreville, VA and Arlington, VA. Our experienced dental office in Centreville, VA will answer all your dental questions. An initial consultation and exam will allow the doctor and patient to determine patient oral health and treatment goals and determine if the patient is a candidate for the procedure. 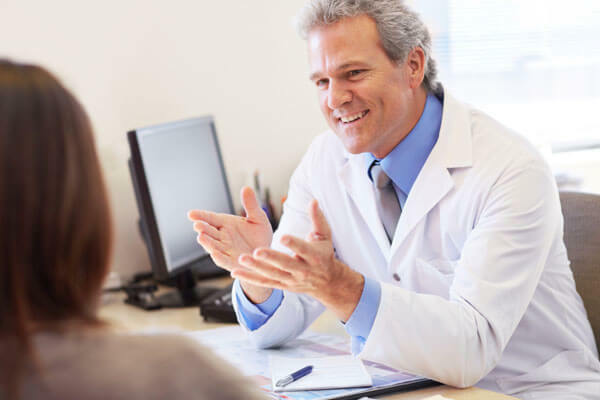 During this appointment, a treatment plan will be developed and agreed upon and the procedure date will be scheduled. Using radiographs and specialized digital imaging, the doctor can come up with a specific treatment plan. On the date of the procedure, any necessary extractions can be performed and then the necessary implants can be placed. 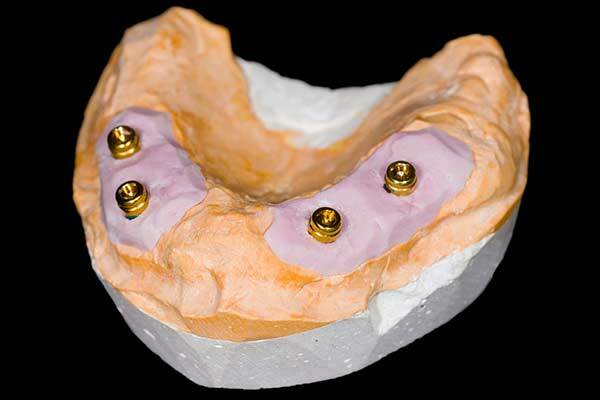 A custom temporary full restoration will be placed on the newly placed implants, which act as anchors. The patient can leave the office with a full smile, created to fit their individual face shape, lips and smile line. After the implants have had a few months to fuse to the jaw bone (a process called osseointegration), the patient will return for the removal of the temporary restoration and the placement of the permanent prosthesis.